As per Drupal's updated site theme is ready for testing! the new theme is now live. Don't like the new left sidebar, I find it distracting, what can I do? You can still access the left navigation(see the screenshot), even you check the 'Hide left navigation' option from the preferences tab. You could go to your user page, click on "settings" tab and then on "preferences" and checkmark "Hide left navigation". But this is lame, you no longer have access to those links when zoomed in. Drupal's updated site theme is ready for testing! Should questions where the OP reports they find the solution, but doesn't add the solution as answer be closed as too localized? Is asking for a base theme that will allow the mimicking of a site ok? 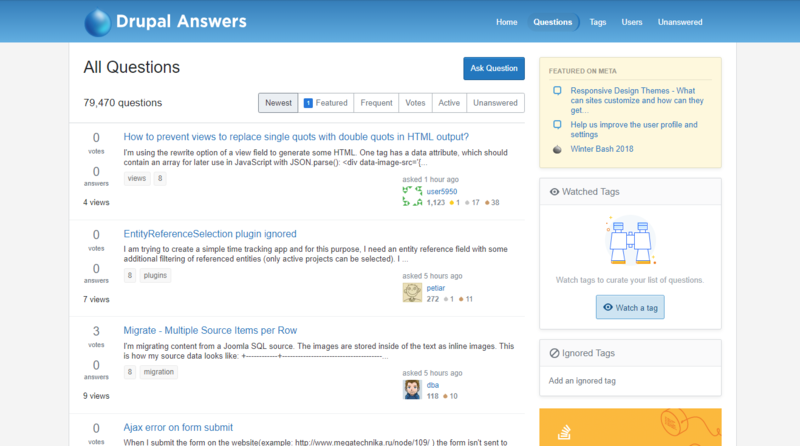 Are we ready to answer Drupal 8 questions? New topbar - do you want colours to meet the rest of a page? Are questions about how to configure robots.txt on-topic?